It’s no accident that Spotify was launched in Sweden during the culmination of the The Pirate Bay lawsuit in 2008. Spotify was promoted as the legal alternative to P2P files haring and the Swedish music consumers were the perfect test market for such a Freemium music service. Sweden’s neighbouring country Norway was in a similar position: wealthy inhabitants, a high penetration of broadband Internet access and a passion for music. Therefore, the Swedish digital entertainment company Aspiro launched the music streaming provider WiMP (the later Tidal) in cooperation with the Norwegian telecommunication company Telenor and music retailer Platekompaniet in Norway in February 2010. Two months later WiMP also started in Denmark as the first music streaming service for PC, Mac and Android mobile. However, in December 2009, the Danish telco TDC had added an unlimited streaming option to its music download service TDC Play (now YouSee Musik) in cooperation with tech company 24-7 Entertainment. Thus, all three Scandinavian countries were pioneers in establishing a music streaming economy. The fourth Scandinavia country, Finland, lagged behind for some years, but in 2017 the Finnish sound recording market was as streaming-lined as its Scandinavian neighbours. Source: After IFPI Global Music Report 2018. A series of blog entries tells the story of how the Scandinavian countries have become the forerunners of the music streaming economy and highlights the background of this development. In this blog post a comparative analysis of market figures for all Scandinavian countries are presented. After years of recession optimism is back in the phonographic industry. In the current Recording Industry in Numbers by the International Federation of the Phonographic Industry (IFPI 2013) the first but small increase of 0.9 percent in global recorded music sales were reported since 1999.The decreases in CD sales and in other physical formats could be compensated by increases in digital music sales. The revenue streams of music streaming services seem to play a crucial role in the recovery. Spotify, Deezer & Co. report annually growing number of users, which makes streaming the fastest growing segment in the phonographic market. In a series of blog posts entitled “Is Streaming the ‘Next Big Thing’?” I would like to highlight the boom of music streaming services and their business models. But I also ask whether and how labels and publishers as well as artists benefit from the growing streaming music market. In part 1 the development of the digital music market in different countries with special regard to the music streaming market is analysed in detail. 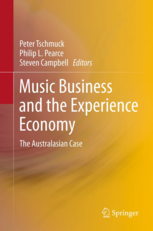 “Music Business and the Experience Economy” is the first book on the music business in Australasia from an academic perspective. In a cross-disciplinary approach, the authors deal with a wide-range of topics concerning the production, distribution and consumption in the digital age. The interrelationship of legal, aesthetic and economic aspects in the production of music in Australasia is also highlighted as well as the emergence of new business models, the role of music file sharing, and the live music sector. In addition, the impact of the digital revolution on music experience and valuation, the role of music for sports and branding, and last but not least the developments of tertiary music education, are discussed from different perspectives. Peter Tschmuck, Philip L. Pearce and Steven Campbell (eds. ), 2013, Music Business and the Experience Economy. The Australasian Case. Heidelberg & New York: Springer, ISBN: 978-3-642-27897-6. For a more detailed book review please click here for further reading. 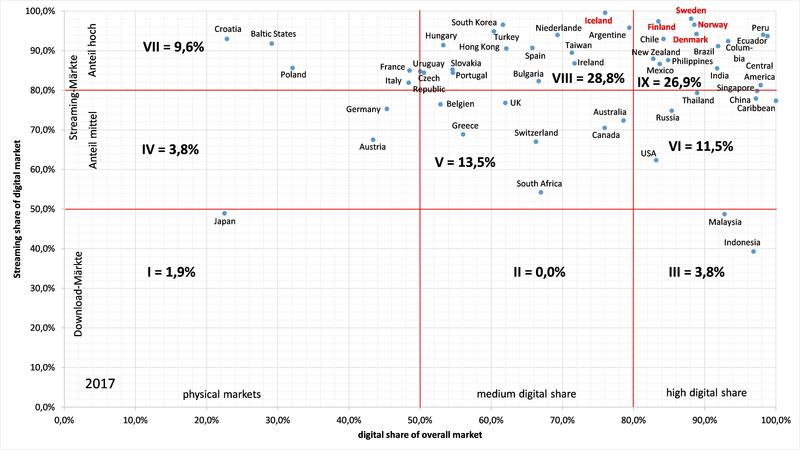 The Joint Research Centre (JRC) of the EU Commission recently published a study entitled “Digital Music Consumption on the Internet: Evidence from Clickstream Data” with remarkable results. The authors, Luis Aguiar and Bertin Martens, concluded that music file sharing as well as music streaming have a significant positive impact on legal music downloads. The study is based on Clickstream data from Nielsen NetView. The database contains all the clicks of 25,000 Internet users in France, Germany, Italy, Spain and the United Kingdom for the calendar year 2011. In the following the main finding “(…) that digital music piracy does not displace legal music purchases in digital format” will be further investigated. On June 8th, the second Vienna Music Business Research Days on “New Music Distribution Models” will start at the University of Music and Performing Arts Vienna (Anton-von-Webern-Platz 1, 1030 Vienna). The main question, who profits from the new models of music distribution – downloading, streaming, cloud-music, will be highlighted from different perspectives by international music business experts until June 1oth. For the program, please visit our conference webpage, where you also can download the conference folder.